Follow Me.The Invisible Kingdom - Follow Me. Living everyday in a kingdom you can’t see is hard. Some might call it insane. Jesus claimed to be a king, but he stood there alone before Pilate with no one to jump to his defense and fight for him. 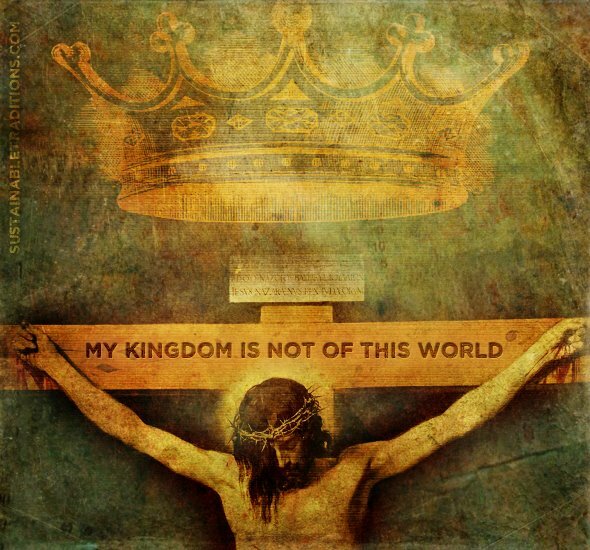 It’s easy to say “My kingdom is not of this world.” It’s much harder to stick to that claim when you’re about to be beaten, stripped, and murdered for it. But Truth did not waver, and his kingdom is coming. In a real sense, it is already here. It is interesting that the two most prominent religious entities in the world today – ISIS and Pope Francis – both assert that we are living in the final days, as the final clash between the kingdoms of good and evil is taking place. Both see an urgent need to establish a kingdom. In a blog post earlier this year, Fr Dwight Longenecker wrote, “If we can see that Satan’s secular kingdom is in conflict with Christ’s kingdom of truth, beauty and goodness we will understand Francis, for he is a pope who believes passionately in the importance and urgency of the spiritual battle.” ISIS is also fueled by an urgent belief that the ultimate kingdom is being established. Central to their ideology is the creation of a caliphate – a pure state in which extreme Muslim theology rules and unbelievers are killed or enslaved. Obviously, the two images of the end times differ. But both offer a kingdom in which order is restored to the world. Pope Francis proposes a conquest of mercy and self-giving love. He doesn’t forbid the use of force against an unjust aggressor, but neither does he teach that physical force will ultimately conquer all evil in the world. The final and central battle is spiritual, and victory is gained each time someone overcomes their own selfish tendencies and serves the poor, worships God, or forgives their enemy. It takes more power to forgive your enemy than to blow him up. We know whose vision will win out. We know that Christ will come again in glory and bring justice and right order to the universe, and that he already set these events in motion with his passion, death, and resurrection. When Jesus asserts his kingdom, he tells Pilate, “Those who belong to the truth hear my voice.” Truth isn’t something that belongs to you. It’s something you belong to. It’s a kingdom – a system of right relationships – which brings peace, justice, and order. Truth is congruity between thoughts, words, and actions. It’s acknowledging one’s proper place: below God, next to our fellow human beings, and above the created gods of the world. Stepping outside of this kingdom brings our relationships and our internal world of thoughts, feelings, and desires into chaos. As any historian or politician will attest, chaos is the breeding ground of tyranny. Without the order of law in a society, those who are strong enforce their will at the expense of the weak, creating slaves and victims. We see this in the Middle East and in poor countries across the globe. We also see it within ourselves. Internally, when we step out of God’s order (that is, his Kingdom), we become slaves to sin and disordered affection. Our ego becomes a fat, stubborn tyrant sitting immovably on its throne, reigning in the absence of peace in our souls. Our world is filled with tyrants, intransigent bureaucracies, and zealous thought police. But every one of us has a dictator within us that thrives on the chaos of disordered passions. 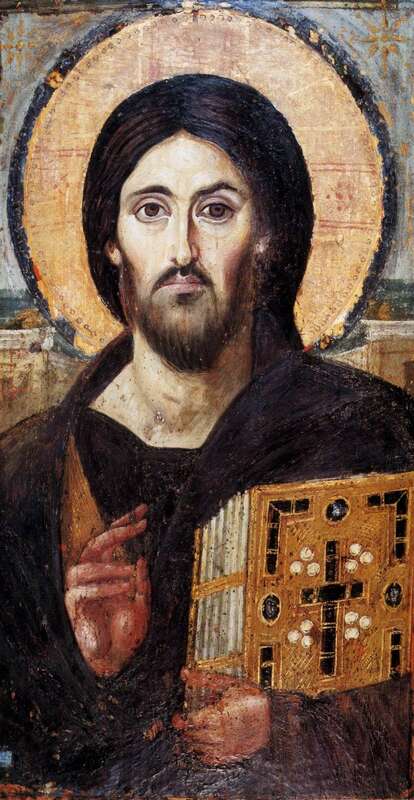 Many Christians might wonder if they could hold their ground and remain unafraid in the face of an evil dictator a zealot with a bomb strapped to his chest. This is an urgent question for many. But for those of us in the West, the more pressing question is whether we can stand our ground every day against the tyranny of our own pride and the destructive force of our sinful passions. Is Jesus your King? Is he your Alpha and Omega? Is he the first one you turn to in the morning, kneeling down and offering your day to him? Is he the last one you speak to at night, thanking him for the day and confessing your sins to him? When you genuflect to his presence in the Eucharist, are you also bending your will to his immortal majesty? Is his glory the ultimate goal of your life and the determining factor of your major decisions? God’s kingdom is the truth. The first step toward entering the kingdom of Truth is admitting the truth about our sins. The first words of Jesus’ public ministry were, “Repent, for the kingdom of heaven is at hand.” God doesn’t first demand perfection of us. He is merciful, and he knows we are weak. Rather, he simply asks us to agree with him about sin. Then he conquers this sin with his blood. “Those who belong to the truth hear my voice.” If we to hear God’s call in our life , we must first “belong to the truth.” The ultimate prerequisite for discernment is to desire God’s will, and to have confidence that it will bring greater peace than following our own designs. This takes supernatural trust. But by virtue of our baptism, we can tap into the same confidence that Jesus had as he stood before Pilate and declared his kingship. He doesn’t want to conquer and subjugate us, but to win us over with his blood and to have us reign under him in peace. If a specific vocation is on our heart and mind, we don’t need to fear it or run away. Instead, we need to run towards Christ, bend our will to him, and claim him as our king. He died for us. He won’t leave us unhappy or without the grace we need. Live every day with Christ as your king, in the invisible kingdom of his will. Say the words, “thy kingdom come, thy will be done” with sincerity of heart. Let him bring peace and order to your life. Stand with him before the tyranny of your ego and give him free reign. And he shall reign forever.